The word 'Celts' comes from the Greek word 'keltoi' meaning 'barbarians'. The Celts were the the most powerful group of people living in Europe during the Iron Age. They lived in extended family groups called tribes, each with its own chieftain/king or queen and laws. The people living in Britain during the Iron Age are often called Iron Age Celts, but they were known just as the 'Britons' at the time. 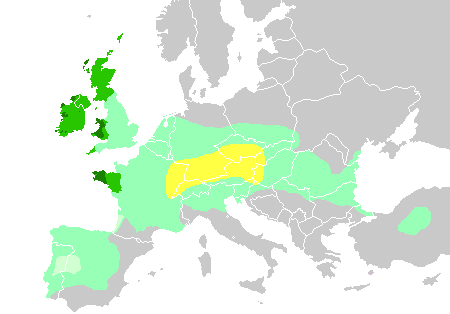 the Belgaes in south-east Britain had similarities with people from Gaul (modern-day France and Belgium). Many historians believe that the Celtic people arrived in Britain following large invasions from Europe, however, recent theories say that languages can be transported much more easily than people can and so such big invasions might not have happened.